One of the perks of our job is to scour the world to find special menswear companies and bring them to you. 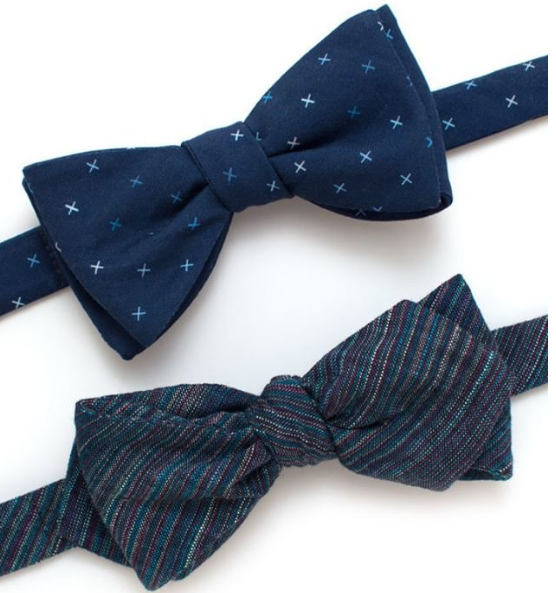 The one question that we get over and over again is whether or not we have a relationship with a great tie or bowtie company. Sure, we could send you to the usual suspects. But, we found one of the leading companies in the neckwear space. 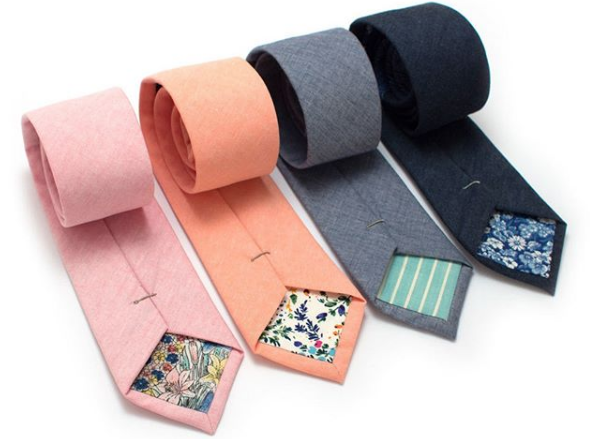 Meet our friends at General Knot, purveyor of vintage or vintage-inspired ties, bow ties and other small handmade accessories. They’ve been featured in top publications, including GQ, Esquire and Complex. General Knot is designed in Bedford, New York and made exclusively in the United States. Their beautiful array of neckwear, travel/makeup bags, totes and scarves, use vintage or rare dead stock textiles that they source from all over the globe. Each collection is limited in quantity, so it’s important to note that if you see something on their website today, it may be gone tomorrow. The company is headed by a husband and wife team (Ann and Andrew Payne) and they’ve headed creative teams at Ralph Lauren, Original Penguin, Tommy Hilfiger and Levis. So, it’s no wonder clients rave about their products. The team at General Knot will be popping up in the 9Tailors showroom on Saturday, March 30 from 10:00AM to 2:00PM. I recently sat down with Ann at the General Knot to pick her brain about men’s accessories. 9Tailors: What’s your best advice to mixing patterned ties with a patterned shirt? Ann: Don’t be afraid to mix a patterned tie with a patterned shirt as long a one of the patterns is a small scale and highlights one of the colors in the larger scale print. Try pairing a small scale gingham shirt with a larger multicolored patterned tie featuring the same or similar shade in the gingham. 9Tailors: My clients feel hesitant about deciphering dress codes. Do you have any suggestions here? Ann: Not sure if an event is business or casual? Opt for “smart casual”. Try pairing a clean button down with a jacket and finish with a pocket square or ditch the jacket and square and go with a necktie and button down. Either way you look finished and neat but not overdone. 9Tailors: What is the one style rule of thumb that you live by? Ann: Remember Proportion. If you have a narrow frame, opt for a blazer with a narrower lapel and a necktie that is slim. 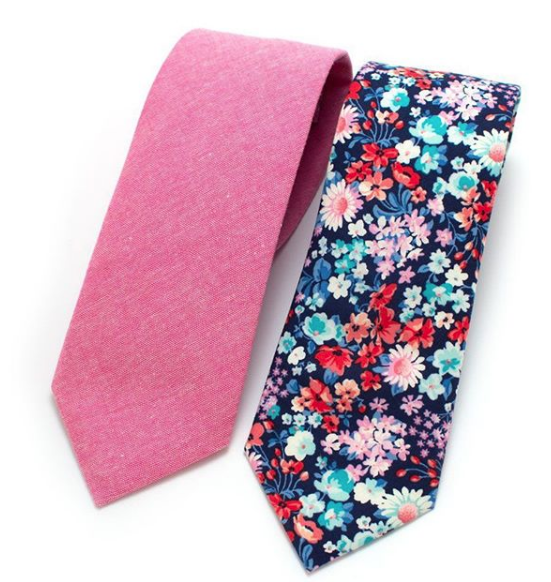 If you are broad shouldered or a larger frame choose a wider tie to keep your look proportional. Contact us at info@9Tailors.com or at 617.286.6135 for more information.